The Nubra valley, at an altitude of about 10, 000 feet, is a valley that separates the Ladakh and Karakoram Mountain ranges, located in the state of Jammu and Kashmir in India. 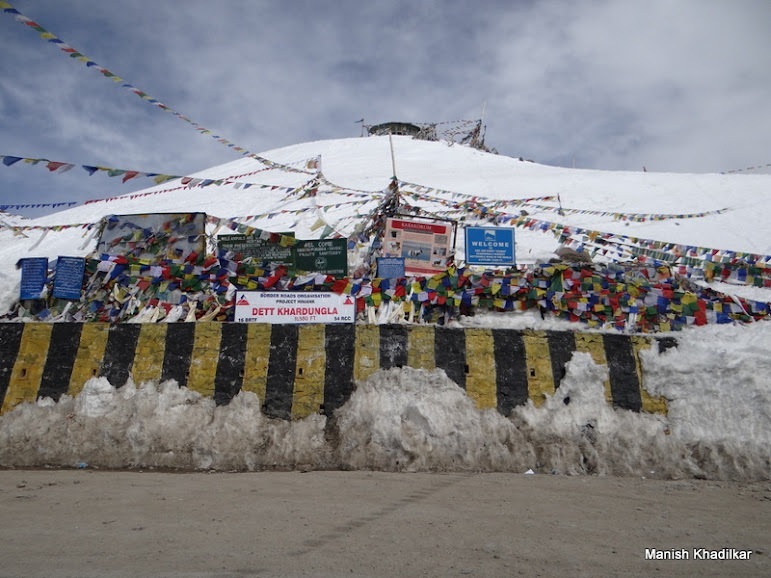 The 5 hour drive from the city of Leh, took us through the Khardungla pass, which at 18,500 ft, claims to be the highest motorable road in the world. 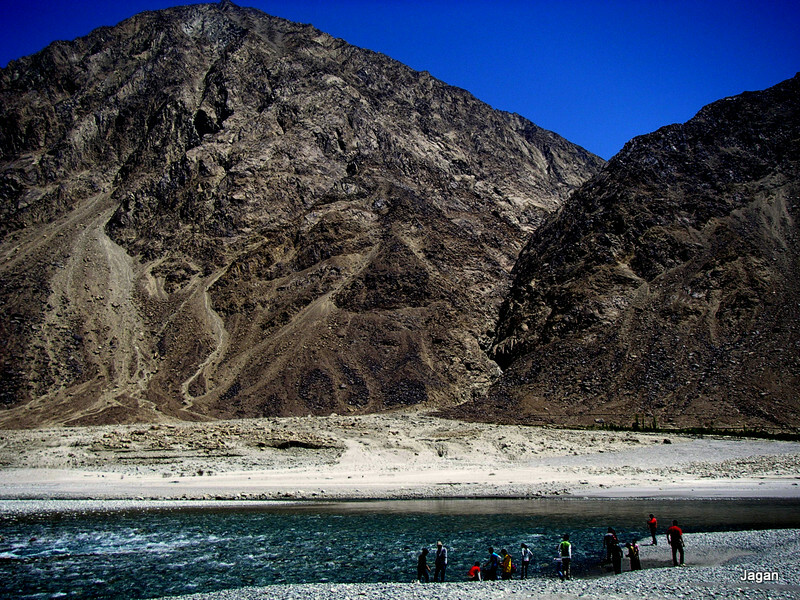 The Shyok River that originates from the Rimo Glacier, flows through the valley and is a source of irrigation in the otherwise arid, desert region.Braving the icy-cold waters of the river, we dipped our feet in along with an impromptu photo-shoot. The banks of the river were layered with round and flat pebbles of various hues which enticed a few of us to collect some as a memoir! 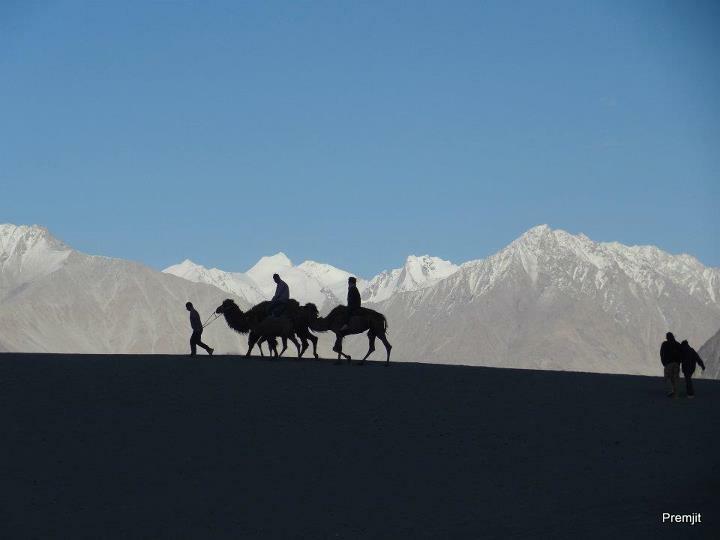 The main tourist attractions of the Nubra valley are the beautiful sand dunes, which we explored riding on the two-humped Bactrian camels, with majestic snow-capped mountains in the backdrop. This week’s travel theme from Ailsa is ‘Silhouette’ and Jake’s Sunday Post theme is ‘From a Distance’. The first and last photos were taken by friends travelling with us on the jouney. Lovely, especially the last one! My favourite photo is the last one. I love the silhouetted figures against the icy cold backdrop. The river shot is tremendous! What a landscape. It is a breath-taking landscape! third photo would be a breath taking poster! Thanks! can’t take credit for that though as it was shot by a friend!